With just over a week to go until Packaging Innovations opens its doors at the NEC, we have a bespoke Q&A with James Drake-Brockman, Divisional Director of Easyfairs’ Packaging Portfolio. Can you give our readers an overview of what they can expect from the 2019 Packaging Innovations exhibition? As the UK’s largest packaging show, we bring together over 300 suppliers under one roof, offering key decision makers the opportunity to discover the latest offerings in the industry, from major players, through to niche specialists. The event provides a platform for the entire packaging supply chain to come together to network and do business. Innovation is, as always, at the heart of the show. There will be plenty of opportunities for visitors to discover the most cutting-edge developments in packaging. We pride ourselves on being at the forefront of the innovation curve, with the new technologies and solutions on show creating real value for our visitors. What will be the highlights of this year’s event? As you can imagine, the use of plastics in packaging will be a huge focus at this year’s show. 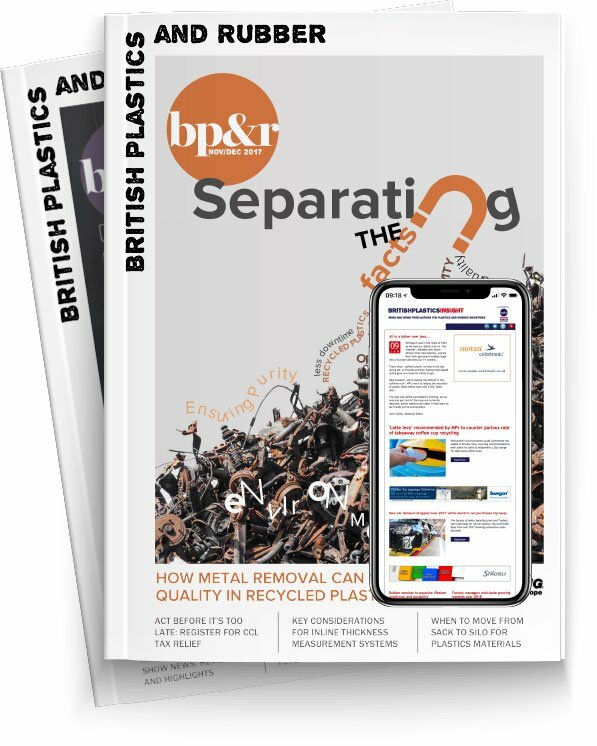 We always endeavour to represent the entirety of the industry and are dedicated to offering visitors a balanced insight into the packaging community’s hottest topic. With this in mind, the Big Plastics Debate will return, following its successful launch at last year’s show, offering a platform for leading experts from both sides of the debate to explore the future of plastics and what this means for the industry. Sustainability will remain a key theme throughout the show as the dedicated Ecopack Stage welcomes seminars from global brands including Coca-Cola, Iceland and Innocent Drinks, all discussing the brands’ unique take on the issue of sustainable packaging and offering their advice on tackling the issue without compromising on quality, functionality or aesthetics. In addition to this, I also particularly enjoy seeing what product launches we have on the show floor. This year we have more than ever, meaning visitors can get hands on with the latest innovations and cutting-edge technologies in the industry. Finally, our new Start Up Village is also not to be missed, offering a platform for packaging superstars to present their cutting-edge technologies to the UK market. With so much happening in the world of plastics in packaging, do you feel plastics can be used to aid the packaging industry? We are all about providing a stage to discuss industry issues. It is not our place to say what brands and retailer should, or should not be doing, rather provide them with the information they need to make informed decisions. You can’t discuss reducing plastic without acknowledging the impact on CO2 emission, food waste or cost. The plastic waste issue is obviously important and we cover every aspect of this, from alternatives, through to recycling and consumer influence. I don’t know the answer to the problem but what I do know is that by bringing smart, passionate people together we have the best chance of coming up with one. In addition to this, technology is evolving fast and we are constantly finding new ways to recycle and reuse our plastic waste, helping to reconcile the link between necessary plastic use and the sustainability agenda. It’s an incredibly exciting time for the plastics industry. What do you think are the main plastic packaging innovations this year? Bio plastics have been getting a lot more attention recently and, through our partnership with BBIA (Bio-Based and Biodegradable Industries Association), we will take a close look at the most cutting-edge developments in that area during the show. In addition to materials innovation, we are increasingly seeing developments in plastic packaging from a form and function point of view. Smart packaging design is always in demand and the show is used by innovators as a platform to showcase their latest designs, in some cases for the very first time. How do you think plastics will shape packaging in the future? This is a great question and one that we plan to address in detail at the show. The Big Plastics Debate will be focussed solely on the future of plastics within packaging and will see some of the world’s leading experts discussing the role that plastics will play in the packaging of the future. People will have to attend the show to find out more! What can we expect from this year’s ‘Big Plastics Debate’? Following a successful launch in 2018, this year’s Big Plastic Debate’s debate is set to be even bigger and better, as we welcome experts from some of the world’s biggest brands, including Pepsi Lipton and Church & Dwight and many more. The debate will take place across both days of the event and will be streamed live around the show as we expect the stage to become very busy. It will kick off with the Ecopack Challenge, where six companies will present their sustainable solutions, battling it out for the chance to work with Marks & Spencer on their innovation. This will be followed by The Big Debate, where two teams from both sides of the debate will go head-to-head in the “This house believes plastic packaging will always be fundamental to our everyday lives” discussion. The second day of the debate will tackle key areas of the circular economy across two panel discussions. The first panel, ‘Designing Packaging for a Circular Economy’, will discuss what packaging designers and technologists need to consider when designing packaging to make it as sustainable as possible. The final panel will discuss, ‘Recruiting Consumers for a Circular Economy’, as panellists consider how the packaging community can influence consumers to change their consumption and recycling habits to help reduce unnecessary plastic waste. It’s not to be missed.